It all starts with seed – selecting the right genetics for your production needs and goals. 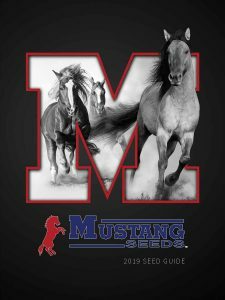 If you’re wondering which seed will give you the best yield and profitability, based on your geography and the way you farm, talk to your Mustang Seeds District Sales Manager for custom recommendations. To learn more about our high performing seed lineup see our 2019 Seed Guide or contact us today.